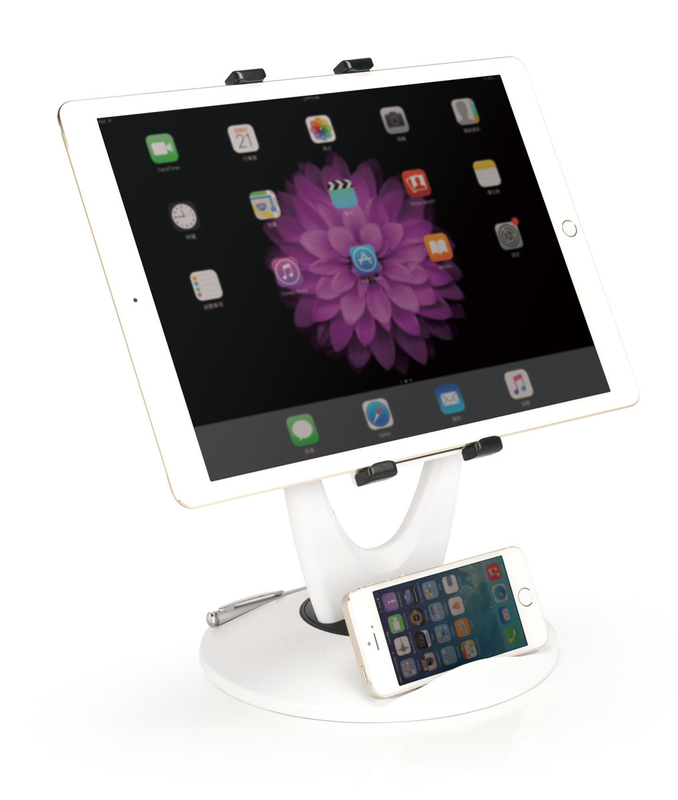 This Deluxe iPad Pro / Tablet Station is designed and engineered with multiple functions in mind. Our iPad / tablet holder offers spin, swivel and angle adjustments. The tablet holder is built with an adjustable spring clip that fits 12.1” & 9.7” iPad Pro and all generations iPad and most 7"-12.1” tablets. The 360° of spinning provides several angle adjustments between vertical and horizontal views offering comfortable viewing and typing. The tablet station is an excellent desk top stand, with swivel weighted base and smart phone and pen slot for maximum stability. Get the most out of your tablet with one of our unique and quality-built iPad/tablet holders.